Point2 Homes gives you far more than a simple list of houses for sale. 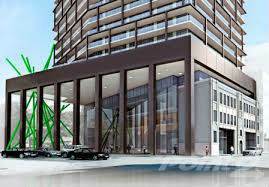 Get instant access to a lot of relevant information about Junction Triangle, Toronto, ON real estate, including property descriptions, virtual tours, maps and photos. The search results pages also have a wealth of information on Junction Triangle, Toronto, ON, if you scroll all the way down. 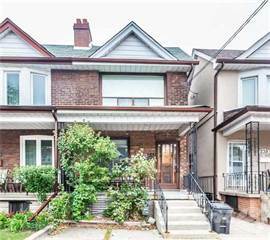 There are 10 houses for sale in Junction Triangle, Toronto, ON. 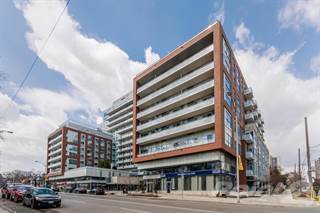 Searching homes for sale in Junction Triangle, Toronto, ON has never been more convenient. With Point2 Homes, you can easily browse through Junction Triangle, Toronto, ON single family homes for sale, townhomes, condos and commercial properties, and quickly get a general perspective of the real estate prices. Also, you’ll never miss a bargain if you filter listings based on house price drops in the past six months. 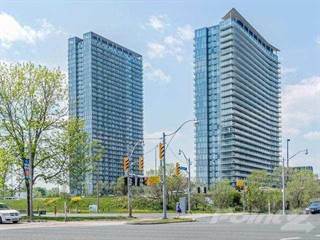 Use the map view to find Junction Triangle, Toronto, ON homes and apartments for sale, based on amenities or city features that you may want close by. You can close in on a specific neighbourhood or area by simply drawing around them with the polygon or radius tools. Stay informed about the latest entries on the real estate market by saving your searches. This way, you get new listings in your inbox, daily or every week, based on your preferences. If you’d like to get in touch with a professional, agents are displayed next to their listings, and they’re easy to contact through the online forms. If you want more options, you can click the Tools tab and Find an Agent, and you’ll get a list of helpful and knowledgeable real estate agents in Junction Triangle, Toronto, ON. Visit the Point2 Homes blog and you can find up to date expert advice on many markets throughout Canada, regular market reports, neighbourhood scoops in cities throughout the provinces, real estate deals and useful recommendations. The Junction Triangle is a small neighbourhood in the west end of Toronto. 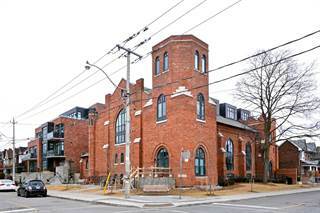 The neighbourhood has struggled in the past, but is starting to show flashes of revitalization that could have it posed to emerge as one of the next up and coming neighbourhoods in the city. A tour through the residential streets already shows signs of ongoing construction, and some newer housing starting to appear. The boundaries of the Junction Triangle, perhaps unsurprisingly, make a triangle on the map. Different rail routes through the neighbourhood draw the boundaries of the triangle. The closest streets to the rail lines are Lansdowne, Dupont, and Dundas. The Junction Triangle seems like one of Toronto‘s struggling neighbourhoods, but it has a great spirit. You see hardworking people, shoveling snow off their walks, painting their fences, taking their kids to school and walking their dogs. This is a neighbourhood where the people have character, even if some of the buildings could be in better shape. The business streets in the Junction Triangle suffer from the same type of affliction. There are some businesses that look like little more than crumbling buildings with signs out front. Then, just a block further down the street, there will be a cute little café with many happy customers inside. At the same time, you can turn a corner and see evidence of the revitalization that has been taking place here. You can see houses that have been restored, or new construction leaping up. It has all the earmarks of a neighbourhood on the rise. When you walk up Lansdowne, you can find a few of the quieter, family-friendly cafés and restaurants that the neighbourhood residents frequent. Paris Bakery and Pastry is a wonderful choice if you’ve got a sweet tooth, or you could visit the Cantanhede O Bairradino, a famous local Portuguese restaurant. Dupont also has some entertainment options. The Piri Piri Grill House is another Portuguese restaurant, and Thai Lime provides a local Thai option. The Primetime Sports Café is a great place to hang out and watch the game. The housing and real estate situation in the Junction Triangle neighbourhood is a very eclectic mix. On some streets, you will see low-rent apartment buildings that are clearly suffering from certain amounts of neglect. On the other hand, there are parts of the neighbourhood where the old crumbling houses have been demolished in favour of new construction. You can find more of these newer houses closer to Lansdowne. Prices in Junction Triangle are certainly on the rise, and some of the detached homes have even made headlines for the high prices they’ve fetched as forward-thinking real estate investors look for the next big neighbourhood in Toronto. 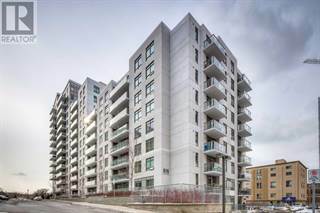 Condos in the older buildings can be had in the mid 200’s, but in the new construction prices are reaching considerably higher. Pollution and noise can be a problem in the Junction Triangle. Ongoing new construction and demolition raises a significant amount of dust and causes noise during peak work hours. The main streets of Bloor, Dupont and Lansdowne also have issues with traffic noise. Another issue is the Nitta Gelatin Plant. At times, the neighbourhood can have a noticeable smell when the plant is in operation. Junction triangle residents do have some crime problems close to home to contend with. Sexual assault and drug-related crimes are both higher in this particular neighbourhood than in much of the city. The hope is that with some of the changes coming to the area, crime rates will decrease. For such a small neighbourhood, there are a large number of schools either in, or very close to the Junction Triangle. The St. Luigi Separate School and the Pauline Junior Public School both fall within the boundaries of the neighbourhood. Also, just on the west side of the tracks that mark the neighbourhood’s boundaries is Bishop Marrocco/Thomas Merton Catholic Secondary School. Access to public transportation in the Junction Triangle is excellent, because its southern tip runs through Bloor Street. The Lansdowne subway station is in the neighbourhood, and multiple major bus routes also run up that street. Just to the west of the neighbourhood, you can also get on the Bloor-Danforth subway line at the Dundas West stop. Bus stops are also frequent along Dupont, and down some of the other residential streets. The Junction Triangle certainly does seem to be a family friendly neighbourhood. Two schools in a very small geographical footprint speaks to the number of children in the area, and a walk down the streets reveals both teenagers walking home from school and parents leading their younger children home. The City of Toronto’s statistics show that there is an almost even split between families with children in the household, and those without in this neighbourhood.